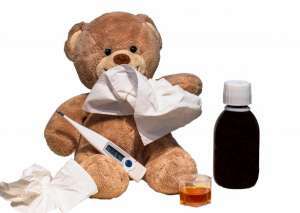 As the weather starts turning a bit cooler, it marks the beginning of the cold and flu season. Keeping your immune system functioning optimally is necessary! We lead busy and stressful lives and this takes a toll on our bodies. Here are some immune supportive tips to keep your body functioning at its best. Consider scaling back on optional commitments at this time of year, lower your stress and exposure to germs as you do this. Get a proper night’s rest. Get to bed and wake up around the same time every day, your body craves a routine and does best on a schedule. Plan for 7-8 hours of sleep every night. Drink water throughout the day. Fall and Winter are great times to add an herbal tea to your routine, I love echinacea/elderberry tea at this time of year. Consider adding in garlic, ginger, cinnamon, honey, or lemon to your herbal tea – whatever sounds good to you – all of these have immune supportive properties. Take your basic supplements daily – Multi-Vitamin, Probiotics and Vitamin D are minimum to keep your system functioning well. Dose you regular supplements based on what your body needs, discuss this dosing with your regular physician or naturopathic doctor. Zinc, Vitamin C, Echinacea, Elderberry, Astragalus, and Vitamin A are all great additions to an immune supportive treatment plan, ask your naturopathic doctor if these are appropriate for you. Eucalyptus Oil – is great to have on hand to help clear congestion. You can dilute the essential oil into a carrier oil such as olive or almond oil and apply to the chest or throat, alternatively steam inhalation is also a great way to relieve congestion with eucalyptus oil. It is important to supplement our body appropriately while we are sick, and it is just as important to continue supplementation for a few days when we start feeling better. You immune system can be vulnerable and the added supplemental support helps protect you from falling ill again. If you do fall ill – remember to rest and sleep as much as you can, take a few days off from work and you’ll realize that you recover a lot faster from your short illness! We can support the body’s natural defense system through nutritional supplements, botanical medicine and lifestyle recommendations. Discuss your winter supportive treatment plan with your naturopathic doctor to keep yourself healthy through the cold and flu season.